HP specializes in developing and manufacturing computing, data storage, and networking hardware, as well as designing software and delivering services. Major product lines include personal computing devices, enterprise and industry standard servers, related storage devices, networking products, software and a diverse range of printers and other imaging products. HP markets its products to households, small- to medium-sized businesses, and enterprises directly and through online distribution, consumer-electronics and office-supply retailers, software partners and major technology vendors. 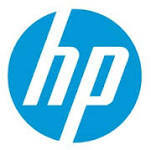 HP also has a services and consulting business around its products and partner products. Microsoft develops, manufactures, licenses, supports and sells computer software, consumer electronics and personal computers and services. Its best known software products are the Windows line of operating systems, the Microsoft Office productivity suite, and the Internet Explorer web browser. Its flagship hardware products are the Xbox game console and the Microsoft Surface series of tablets. It is the world’s largest software maker as measured by revenues and is also one of the world’s most valuable companies. SonicWALL sells a range of Internet appliances primarily directed at content control and network security. These include devices providing services for network firewalls, UTMs (Unified Threat Management), VPNs (Virtual Private Network), backup and recovery, and anti-spam for email. The company also markets information subscription services related to their products. Their solutions also serve to solve issues surrounding HIPAA and PCI compliance. VMware is the proven choice for virtualization from the desktop through the data center to the cloud. More than 500,000 customers of all sizes have chosen VMware as their virtualization infrastructure platform. VMware’s desktop software runs on Microsoft Windows, Linux, and Mac OS X, while its enterprise software hypervisors for servers, VMware ESX and VMware ESXi, are bare-metal hypervisors that run directly on server hardware without requiring an additional underlying operating system. Symantec Backup Exec delivers powerful, flexible, and easy-to-use backup and recovery to protect your entire infrastructure whether built upon virtual, physical, or a combination of both. Backup Exec V-Ray Edition is specifically engineered to protect your virtual environment. It dramatically reduces the time to recover from data loss or major disasters by protecting an unlimited number of guest machines per host including all of the applications and databases.